Hi all, it is Mary-Ann here with you today. Time has gotten away from me during these hot summer weeks with two vacations, vacation bible school, baseball camp and a pool. I felt as though I lost my mo-jo until I got some ink spray in my hands again! (hehehe) I wanted to keep my layout simple, clean and bright. I started with my picture placement, then built from there. I added a small amount of detail using the circle template with gray ink and applicator, a circle punch and sprayed just enough of three different ink sprays. I loved the white wash feel of the Authentique Be(you)tiful paper and the Fancy Pants Stencil Cards matched my color pallet perfectly. I added a few Studio Calico tags, and wood veneer stars, vintage twine and some machine stitching. Simple yet full of color. Thank you for stopping by today. I hope you can find some time to create and be inspired. Ink spray...it's all you need in life! :-) Beautiful layout, girlfriend! Hey super duper cool...LOVE how the spray landed on the paper!!!! So fresh and fun - it's lovely! 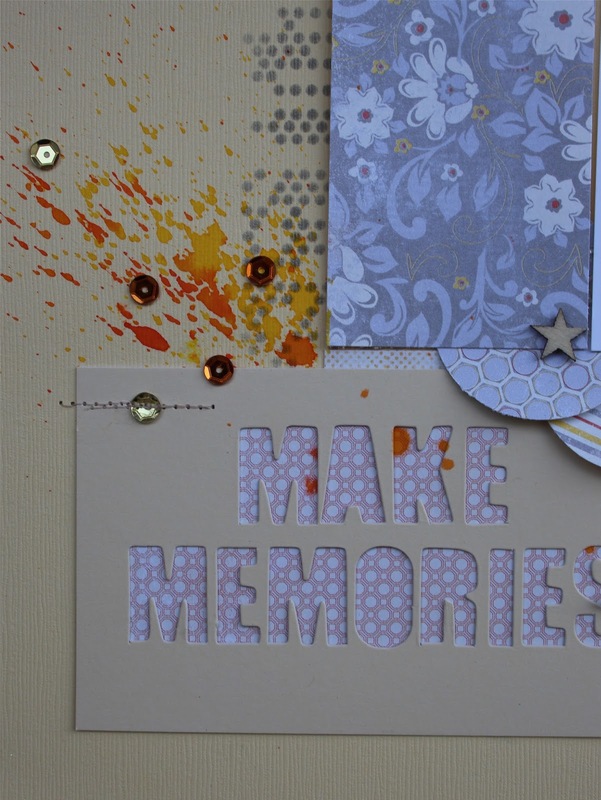 I love this..... and I really like how the splatters add texture yet don't take away from the pictures/papers. Gorgeous. 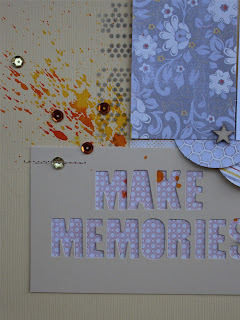 Gorrrgeous layout Mary Ann...beautiful layering and stitching..gotta say how cute that pic is too! !